Narayana Panditacharya was the son of Trivikrama Paditacharya who debated with Sri Madhvacharya and became his disciple. He must have seen Sri Madhvacharya when he was young, probably, going with his father on many occasions. He has good knowledge of Sri Madhva’s philosophy and is fully aquainted with the main events of Sri Madhva’s life. He is a gifted poet. He has inherited both the scholarship and the poetic talent from his father. His two brothers were also closely associated with Sri Madhvachary. One of them viz. Sankaracharaya by name looked after the Library of Sri Madhvacharya. His sister Kalyanidevi was also a poetess. His first poem Subhodaya is a small philosophical poem. His another poem Parijataharana is in Yamaka alankara. Sumadhva Vijaya is his magnum opus. It has three dimensions (i) It is a historical poem (ii) It is a philosophical poem (iii) It is an excellent literary work. His faith in Sri Madhva’s philosophy, his devotion to Sri Madhva are remarkable. Every verse reflects it. His description of Himalaya and Vedavyasasrama is a fine poetic presentation of nature’s beauty and Risis’s culture. His summary of philosophical debates is very eloquent and makes one feel that he is actually observing it. His description of the works of Sri Madhva brings out the central point of each work. He does not miss any important event in Sri Madhva’s life. It is a model biographical poem of a great personality. A perusal of the full summary of this poem given below will be quite profitable. He has many other works to his credit. 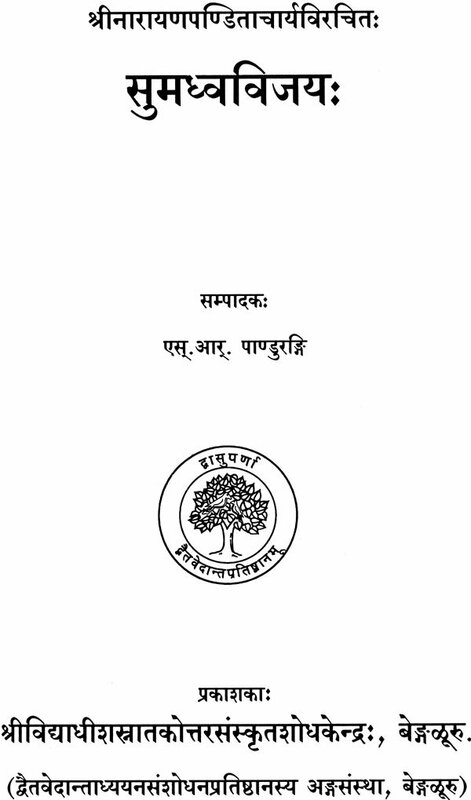 (A) His philosophical works are: (i) Nayachandrika-a commentary on Brahmasutra Anuvyakhyana (ii) Visnutatva nirnaya tika (iii) Mithyatvanumana Khandana tika (iv) Anubhasya tika. (B) His theological works: (i) Yogadipika (ii) Amsavatarana (iii) Krsnamrta Maharnava tika (iv) Taratamya stotram. (C) His literary works: Two of his literary works (i) Subhodaya and (ii) Parijata harana are already mentioned. Among others Manimanjari is most important. It is complementary to Sri Sumadhva Vijaya in respect of its philosophical content. 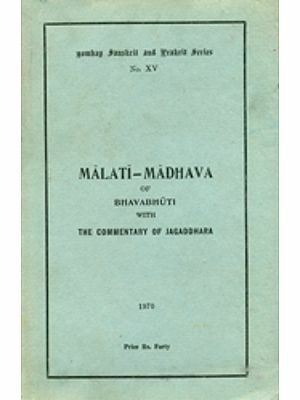 Yamaka Bharata tika is a commentary on Yamakabharata of Sri Madhva which is a fine work of Yamaka Alankara, Sangraha Ramayana is a digest of Ramayana following Sri Madhva’s narration of Ramayana in his Mahabharata tatparya nirnaya. Anu Madhva vijaya is a summary of Sumadva Vijaya. Madhvamrta maharnava also depicts Sri Madhva’s glory. Besides these a few stotras are also composed. His commentary viz Bhavaprakasika on Sumadhva Vijaya is very brief but very instructive. It helps to identify the local places and Tulu names. These works reveal his poetic talent. Sri Madhvacharya also known as Sri Ananda tirtha and Purnaprajna was born in the village pajaka Ksetra about eight miles south-east of Udupi in the Upupi district of Karnataka in India. He flourished between 1238 A.D. to 1317 A.D. He took sannyasasrama when he was eleven years of age from Achyuta preksa who stayed at Anantesvara temple in Udupi . Sri Madhvacharya Studied veda and sastra from Achyutapreksa. He also studied Advaita classics like Istasiddhi. He was not satisfied with Advaita interpretation of Upanisads, Brahmasutras and Gita. He independently studied these and Itihasa-Purana etc sacred literature. He wrote Bhasyas on Upanisads, Brahmasutra and Gita. He also prepared the digests of Mahabharata and Bhagavata. 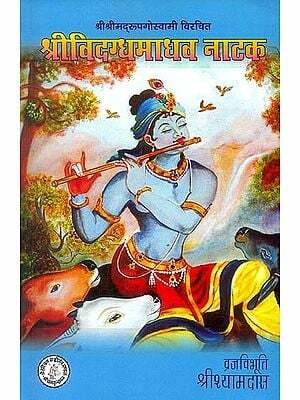 He wrote a special commentary on forty hymns of Rgveda bringing out the philosophical import of Rgveda. On the whole he composed 37 works. These are described in Sumadhvavijaya. He travelled over the entire India twice and visited Badari Ksetra twice. The places visited by him and the scholars who debated with him are also mentioned in Sumadhva Vijaya. Among the scholars who met two are very important viz. 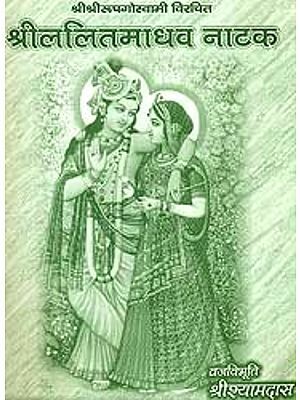 Sri Trivikrama pandita and Sobhana bhatta also known as Ananda bhatta. The first one wrote a commentary i.e. Tatvapradipa on Brahmasutra bhasya of Sri Madhvacharya. His son wrote Sumadhvavijaya. The second one took Sannyasa from Sri Madhva and was named as Padmanabha tirtha. He hailed from the Godavari region and propogated Dvaita siddhanta in Karnataka, Maharastra, Andhra and Tamilnadu. Sri Madhvacharya established Sri Krsna temple at Udupi and gave sanyasa to eight Brahmacharins. These developed into eight Mathas in due course. These details are also found in Sumadhva vijaya. The Dvaita school of Vedanta is a major school of Vedanta and presents theistic realism. The advaita concept of nirguna brahman and jaganmithyatva are strongly criticized. The atmaikya doctrine is rejected. The doctrines of Gunapurna Brahman, jagatsatyatva and jiva Brahmabheda are established. Many distinguished saints and scholars have contributed to Dvaita Vedanta literature. Sri Jayatirtha , Sri Vyasatirtha, Sri Raghuttamatirtha, Sri Vadirajatirtha, Sri Vidyadhisatirtha, Sri Raghavendra tirtha are important among these. It will be beneficial to the devotees and scholars to know the life and works of such a great personality. Sumadhvavijaya gives a detailed account of the same. It is considered as Mantrasastra. 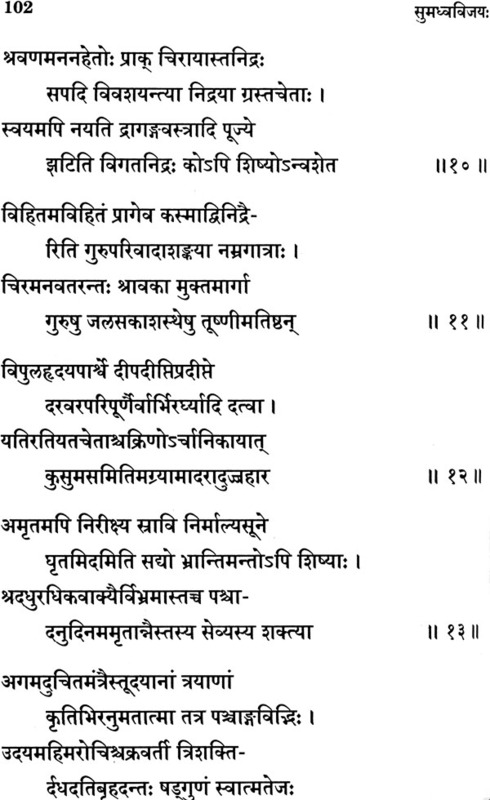 Those who are familiar with Sanskrit can read the original with the commentaries. However, for the others a detailed summary of the contents is given both in English and Kannada. Sumadhva vijya is a biographical poem in which the life and the message of Sri Madhvacharya, the Founder of the Dvaita School of Vedanta, are described. Sri Madhvacharya travalled all over India twice covering the entire land from Ramesvaram to Badrinath. In the course of his journey he visited important centres of learning. Distinguished Scholars met him and debated with him. Contemporary rulers also met him and paid their respects. These events are described in this poem. It has therefore historical importance also. The philosophical debates which Sri Madhvacharya had with the scholars are summarized. In the course of this summary important philosophical concepts are explained. This has made it a philosophical poem. The thirty-seven works of Sri Madhvacharya are mentioned and briefly introduced. 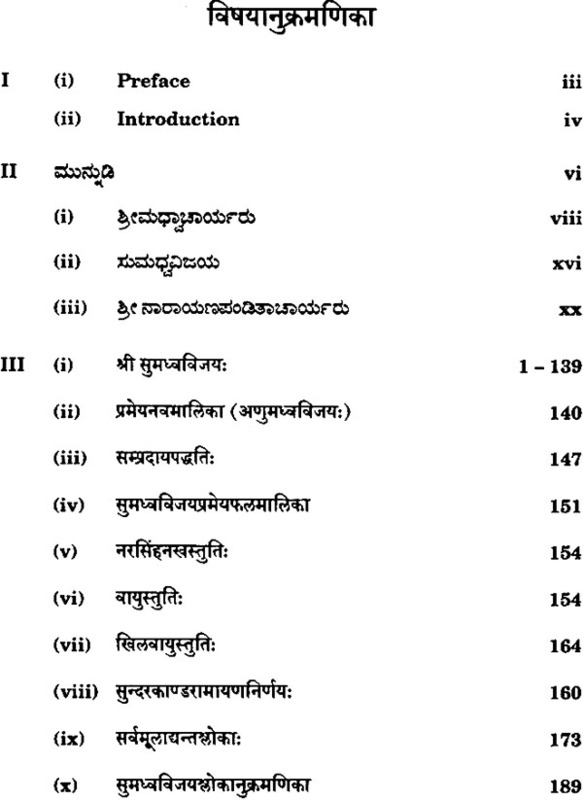 In this volume Sumadhva-Vijaya text is printed without commentaries to fecilitate the parayana by the Devotees. In addition Anumadhva-Vijaya, Harivayustuti, Sundarakanda Ramayana Nirnaya, Sarvamulaadyanta slokas, Sampradaya Paddhati, Sumadhva-Vijaya phala malika are added. It is hoped that this volume will be received with due appreciation. Sri S.R. Pandurangi, has edited this work. We record our appreciation of his co-operation. We also thank M/s. Vagartha Printers for quality printing.